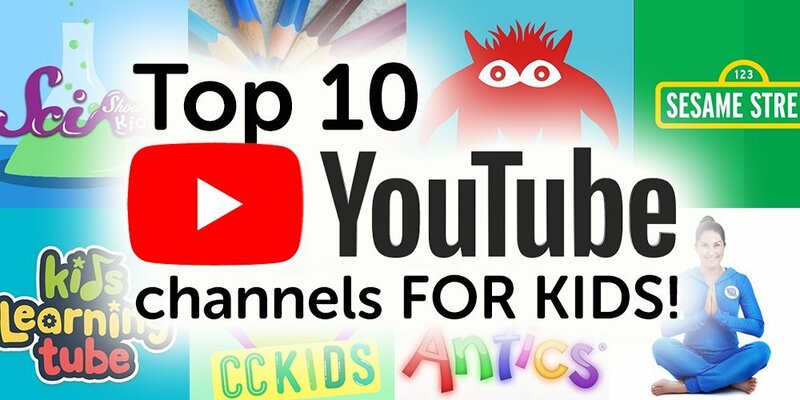 Top 10 YouTube Channels for Kids! YouTube is a rich resource for educating and entertaining kids! Here is a list of the top 10 YouTube channels which I believe offer great content for kids in relation to learning, mindfulness, science, math, art and growth mindset…and of course – movement and yoga! Awesome for the classroom, homeschoolers and for curious kids who are ready to learn! SciShow Kids explores all those curious topics that make us ask “why?” Whether conducting experiments, researching new questions, or talking with experts, there’s always something new to discover with SciShow Kids, no matter what your age! FreeSchool is a safe and friendly place to expose children to famous art, classical music, children’s literature, and natural science in an age-appropriate and kid-accessible way. Crash Co urse Kids is a bi-weekly show all about gradeschool science. We’ll look at Earth, Habitats, Space, Chemical Reactions, Engineering, and much much more! Muffalo Potato helps you learn to draw in minutes… the Muffalo Potato way! Grab your crayons, markers, pencils, or pens and follow along with John as he teaches you how to draw a wide variety of cartoons by using only numbers and letters. Teachers love Muffalo Potato and parents love to sit down and draw too for a fun family activity. Kids Learning Tube covers a vast array of educational subject matters including the solar system, geography, the human body, and much more. Using sing-a-long videos and animation this channel offers a fun and unique approach to learning. Sesame Street is a production of Sesame Workshop, a nonprofit educational organization. The Workshop’s mission is to use the educational power of media to help children everywhere reach their highest potential. I adore Sesame Street and hope one day I can pay a visit to do some yoga with them all! Mathantics provides simple and engaging math resources that make learning math more fun for students of all ages. The Wild Adventure Girls Channel is a fun, one stop connection to a wild world of awesome adventures, amazing science experiments, super cool Slime, DIY’s, reviews, up close animal encounters, “how to” videos, and just plain videos that are “laugh out loud funny” of kids who just want to have FUN! I HAVE A GO is a musical celebration of childhood challenges and growth, using innovative songs and videos to support the development a growth mindset.